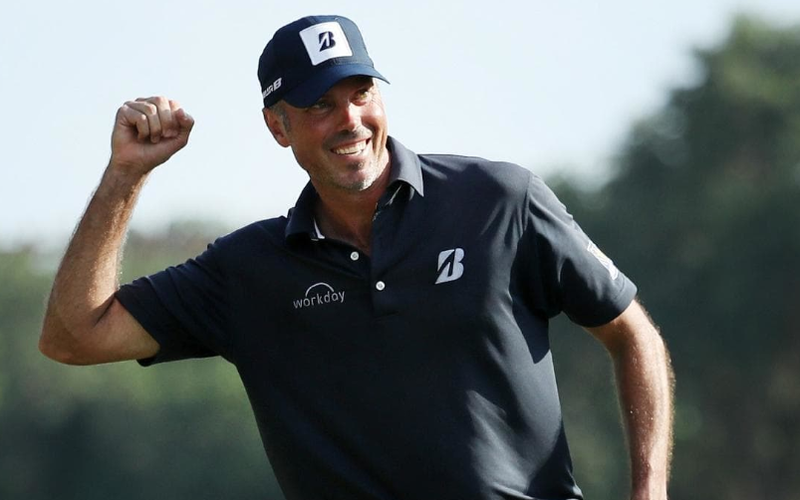 April 20, 2014 was the last time that Matt Kuchar and Lee Westwood won on their respective tours. That drought ended on Sunday for both players. Kuchar closed out his 54-hole lead in Mexico to win the Mayakoba Golf Classic, and Westy shot the lowest round of the day to win by three shots in South Africa. One shot back of Kuchar in solo second was New Zealand’s Danny Lee. Starting the day five back of the lead, he shot a final-round 65 to get into contention. He ultimately came up one shot short, but this will help him build some confidence heading into 2019. Lee is coming off a disappointing 2018 campaign where he finished 103rd in the FedEx Cup standings, but he already has two top 10s this fall. Danny is a quiet guy but has a great personality. His fellow competitors love to play with him, and golf is better when he is around. The rest of the top 5 was filled out by a group of characters that are all on the come-up. J.J. Spaun, Richy Werenski and Brice Garnett each had their best PGA Tour season in 2018. Spaun finished with the best FedExCup rank of the bunch at 51, but all three possess the ability to win on tour. Jim Furyk turned back the clocks this weekend as well with his T-6 in Mexico. The 48-year-old has dropped outside the top 250 in the world but finished with his 3rd top 10 of the calendar year. Jordan Spieth missed the cut in his final event of the year. He will head into the offseason where he will get married and put a very unmemorable 2018 season behind him. We’re sensing a trend. Vijay Singh showed signs of his old self on Sunday and fired a final-round 61 to win the Charles Schwab Cup Championship. Starting the day in 6th place, the Fijian made 10 birdies on his way to his third win of the season. The Yolk with Doak is back! Tom joins Andy to talk about his new project at Sand Valley, golf in England and much more. Listen to the podcast on iTunes, Stitcher, Spotify or the website. The 2nd stage of Q-School wrapped up, here are the results and who will be playing on the Web.com Tour in 2019. Gaby Lopez became the first Mexican-born winner on the LPGA Tour since Lorena Ochoa at the Blue Bay.